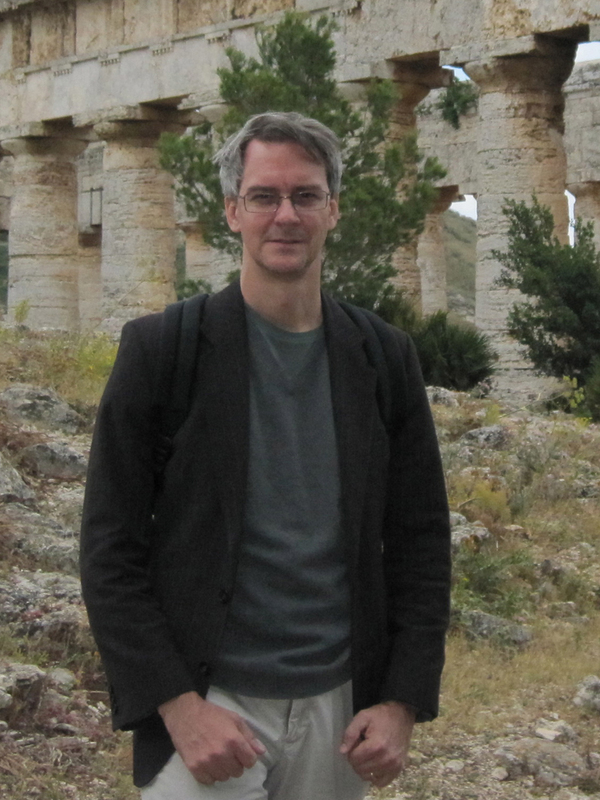 John Palmer’s area of specialization is ancient Greek philosophy, with a particular focus on early Greek philosophy and Plato. He is the author of numerous articles and reviews as well as two books on the philosophy of the Presocratic philosopher Parmenides: Plato’s Reception of Parmenides (Oxford, 1999) and Parmenides and Presocratic Philosophy (Oxford, 2009). This latter work was the focus of an Author Meets Critics Session at the 2011 meeting of the American Philosophical Association’s Eastern Division. He has also been a featured speaker at a number of international conferences in recent years, including the Third Symposium Praesocraticum (Budapest, 2009), the International Association for Presocratic Studies (Edinburgh, 2010), the Power Structuralism in Ancient Ontologies project (Oxford, 2013), and the Workshop on the Aporetic Tradition in Ancient Philosophy (Dublin, 2014). He was awarded an American Council of Learned Societies Frederick Burkhardt Residiential Fellowship, enabling him to spend 2004-5 at the National Humanities Center in Research Triangle Park, NC. More recently, he has been the recipient of a John Simon Guggenheim Memorial Foundation Fellowship for 2014-15. During his fellowship year he has been a Visiting Fellow at Clare Hall, Cambridge University, where he has pursued work on a major research project on virtue and value in Plato’s ethics.